I like it. 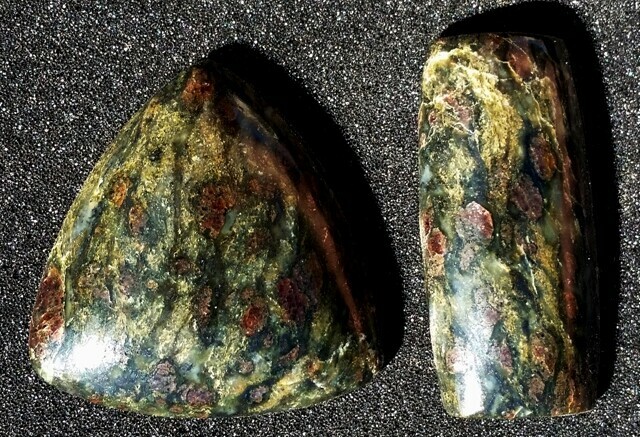 We have lots of amphibolites here in northern Washington but none with garnets. Garnet everything is abundant not far from here. I really like the amphibolite though. It is really easy to work with and I like the look. The gold sheen only shows in very bright light. I have been cutting up a big 91 pound chunk of this but I don't make spheres. I agree it would look cool. You can send me a couple of cubes I can make one for you and keep one for me. That is really pretty stuff. I would love to see that in a sphere. Jhon is a master sphere maker. You should take him up on the offer. They will be beautiful! I don't have a slab saw to cut them. I will have to take them down to the club and cut it up some more. Will do that as soon as I can. That would make an epic sphere under a powerful light to manifest the sheen effect. Just cut it so it will fit in a flat rate box. I can cut it the rest of the way. Bigger is always better. Sounds good. I should be home in a few days to early next week. I can see about packing some pieces up then. 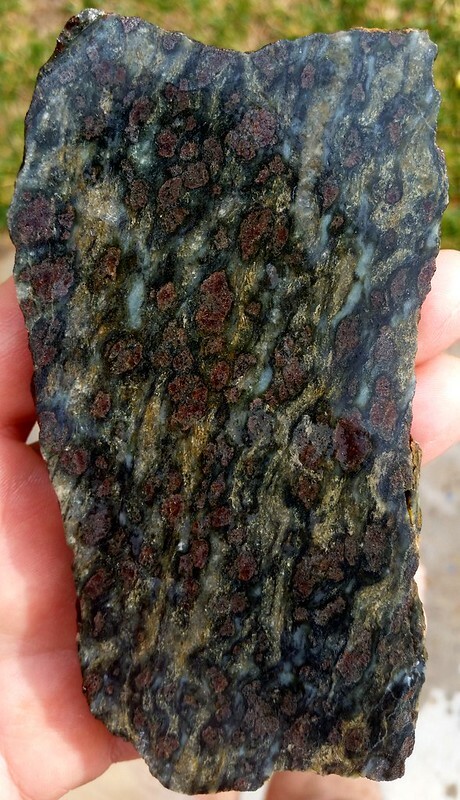 Oh I didn't think you would be able to get sheen amphibolite with crystals in it, that's very neat.